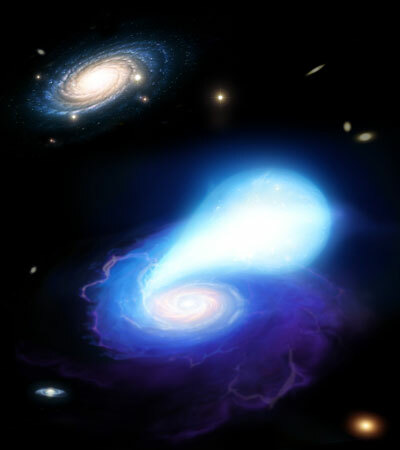 A research team of astronomers and astrophysicists have found that some of the Universe's loneliest supernovae are likely created by the collisions of white dwarf stars into neutron stars. The Rosetta spacecraft has travelled over 6.4 billion kilometres, swung by planets, examined two asteroids during flybys, and spent more than two and a half years in hibernation during its 10-year journey. 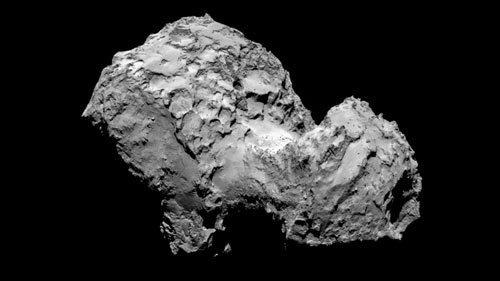 On 6 August 2014 at 11:30 CEST, with the Philae lander on board, it arrived at its target comet and entered into orbit. 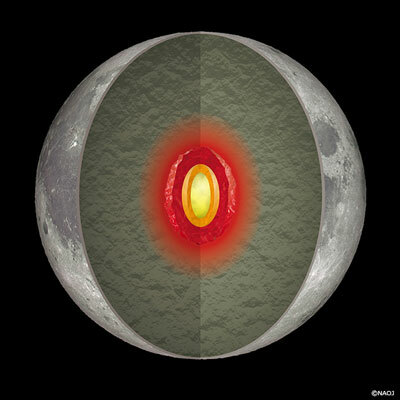 Researchers have found that there is an extremely soft layer deep inside the Moon and that heat is effectively generated in the layer by the gravity of the Earth. 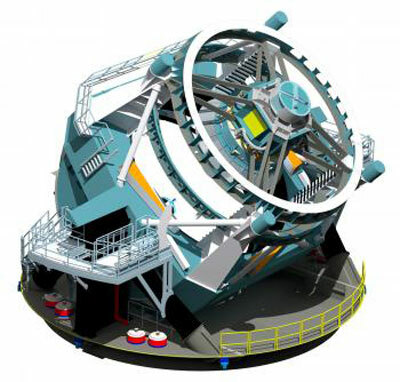 Large Synoptic Survey Telescope gets funding to begin construction. 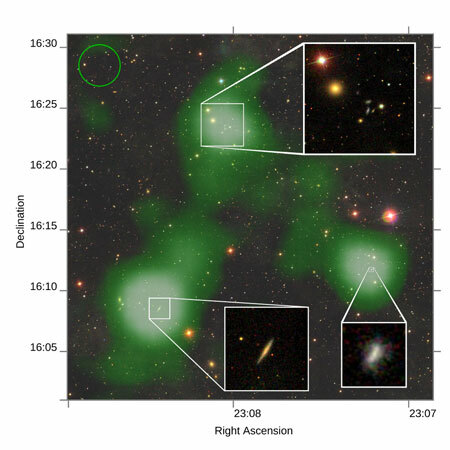 Astronomers have found a bridge of atomic hydrogen gas 2.6 million light years long between galaxies 500 million light years away. 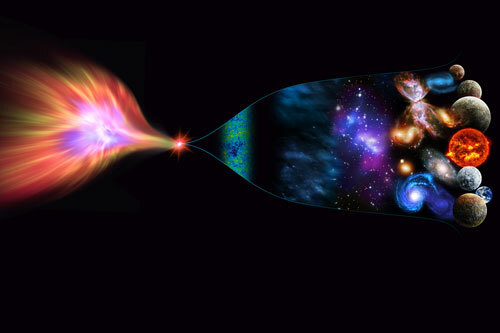 What we perceive as the big bang, researchers argue, could be the three-dimensional 'mirage' of a collapsing star in a universe profoundly different than our own. 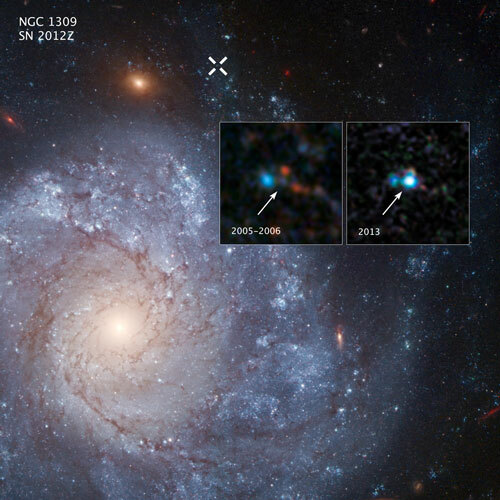 Using the Hubble Space Telescope, a team of astronomers has spotted a star system that could have left behind a 'zombie star'' after an unusually weak supernova explosion. 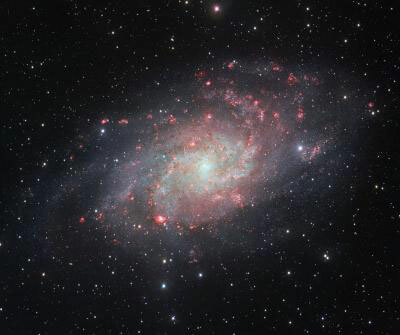 The VLT Survey Telescope at ESO's Paranal Observatory in Chile has captured a beautifully detailed image of the galaxy Messier 33. This nearby spiral, the second closest large galaxy to our own galaxy, is packed with bright star clusters, and clouds of gas and dust. The new picture is amongst the most detailed wide-field views of this object ever taken and shows the many glowing gas clouds in the spiral arms with particular clarity. 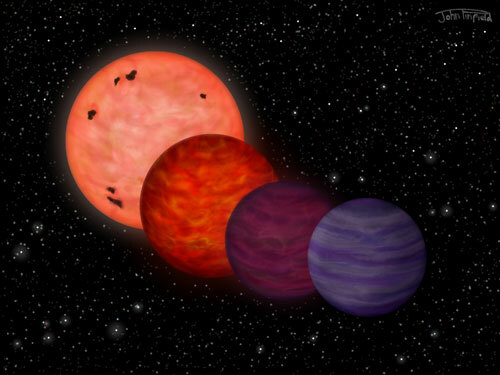 Astronomers have discovered an extremely cool object that could have a particularly diverse history - although it is now as cool as a planet, it may have spent much of its youth as hot as a star. Scientists yesterday highlighted an impressive list of achievements in researching the outer heliosphere at the 40th International Committee on Space Research Scientific Assembly in Moscow. 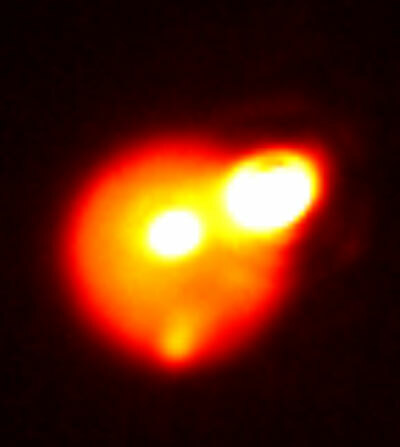 An image from the Gemini Observatory captures what is one of the brightest volcanoes ever seen in our solar system. The image, obtained on Aug. 29, reveals the magnitude of the eruption that was the 'grand finale' in a series of eruptions on the distant moon. 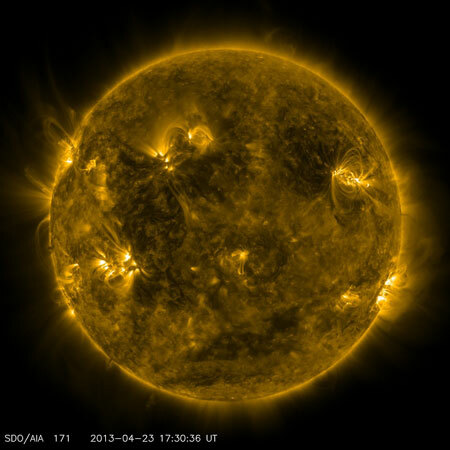 Scientists have recently gathered some of the strongest evidence to date to explain what makes the sun's outer atmosphere so much hotter than its surface. The new observations of the small-scale extremely hot temperatures are consistent with only one current theory: something called nanoflares - a constant peppering of impulsive bursts of heating, none of which can be individually detected - provide the mysterious extra heat. New research shows that more than four billion years ago, the surface of Earth was heavily reprocessed as a result of giant asteroid impacts. 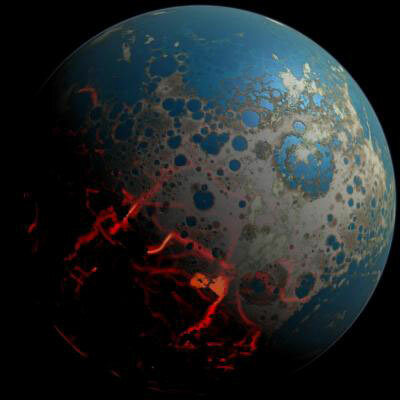 A new model based on existing lunar and terrestrial data sheds light on the role asteroid bombardments played in the geological evolution of the uppermost layers of the Hadean Earth. 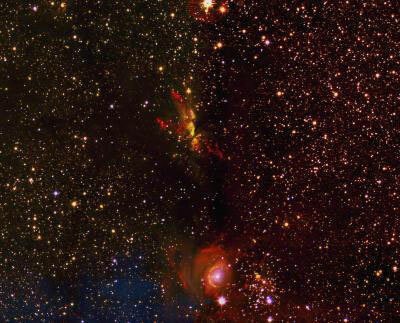 Preliminary research findings from the University of Kent have identified hundreds of so far unknown jets from young stars, as well as numerous new planetary nebulae in the Galactic Plane. 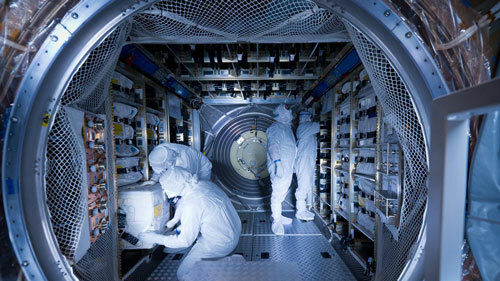 So far, four European space freighters have carried supplies to the International Space Station (ISS). At 01:47 CEST on 30 July 2014, Georges Lemaitre - the fifth and last European Space Agency (ESA) Automated Transfer Vehicle (ATV) - lifted off from the spaceport at Kourou in French Guiana.